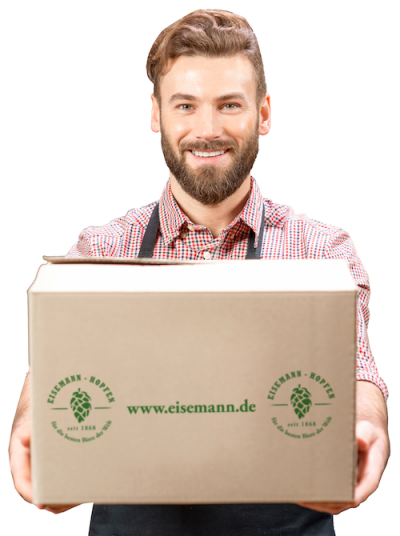 Hops business Eisemann. 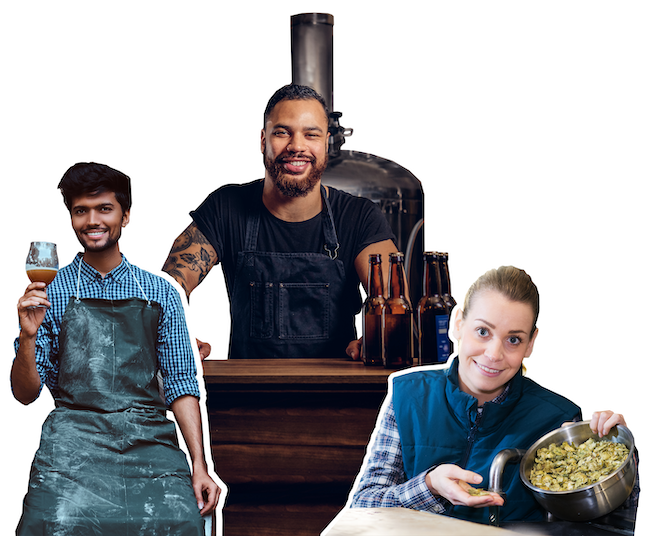 Buy hops & hop products. Since 1868. Last year we accompanied two hop growers with a camera during the harvest. The result can be viewed as a video on YouTube. 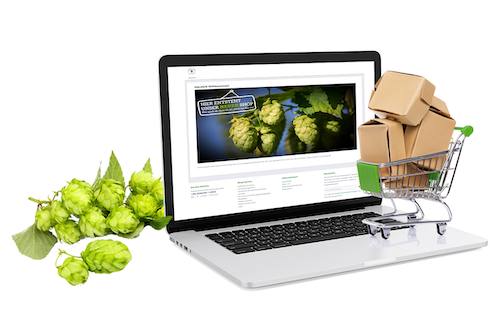 We have revised our existing online shop and given it a new, clear design so that you can shop for hops in comfort. See for yourself! 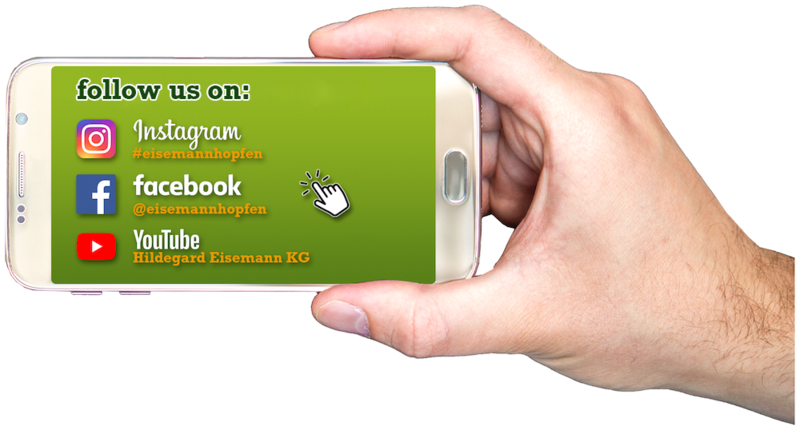 We are on Facebook, Instagram and YouTube. Visit our profiles, comment and share content. We are looking forward to your feedback! 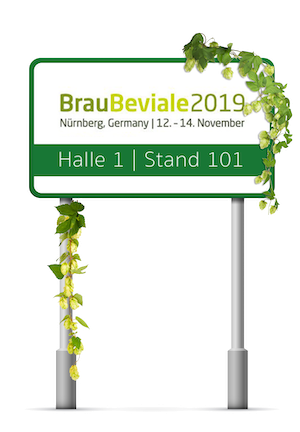 We are already looking forward to the BrauBeviale from 12th to 14th November 2019 in Nuremberg. As usual, you will find us in hall 1 at booth 101. We would be glad to see you! The head office of the hops business Hildegard Eisemann KG has been located in Spechbach since 1964, a small community in the Kraichgau region, situated between Heidelberg and Sinsheim. The management consists of Rudolf Eisemann (5th generation) and his wife Hildegard. Our son Franz Rudolf (6th generation) has joined us as from 01.08.2018. The year 1868 marks the beginning of our hops business. Experience the 150 years of our company history in the form of an interactive journey through time with just a mouse click. 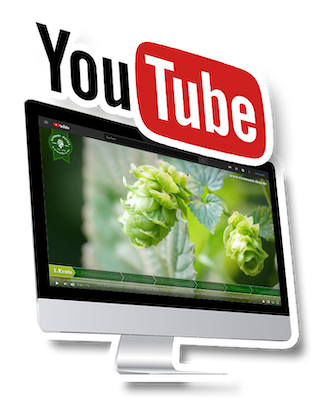 Buy organic hops – Certification in compliance with regulation (EC) no. 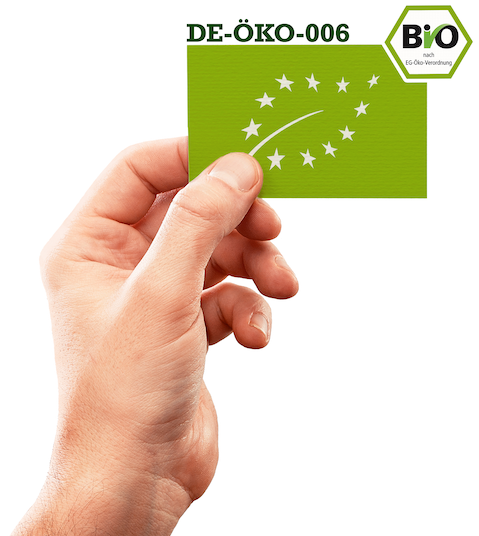 834/2007 DE-ÖKO-006 was granted in August 2007 by A•B•CERT,, Esslingen. 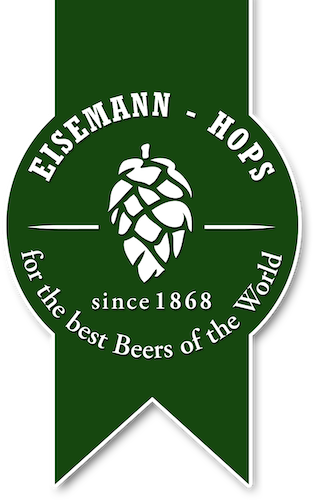 Since then Eisemann is entitled to market hops and hop products from organic cultivation, in particular Demeter® and Bioland®. 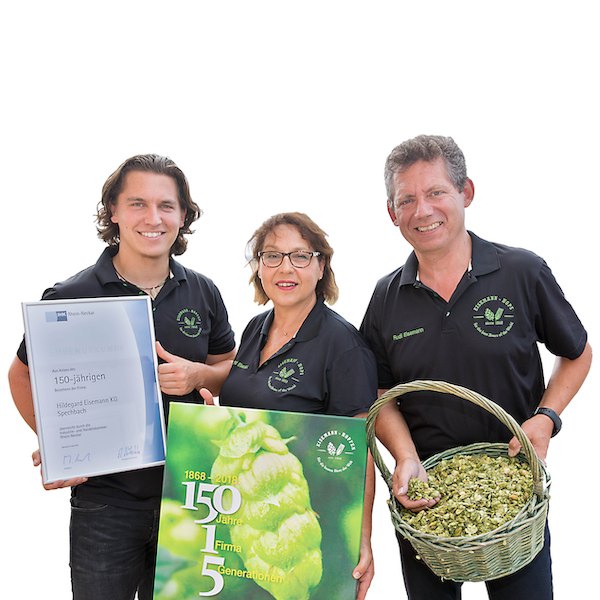 In addition, the company Hildegard Eisemann KG received the group certificate SAI (Sustainable Agricultural Intiative) standards for sustainable hop production. We ship our products quickly and reliably with DHL from 2,5 kg foil wrapped. 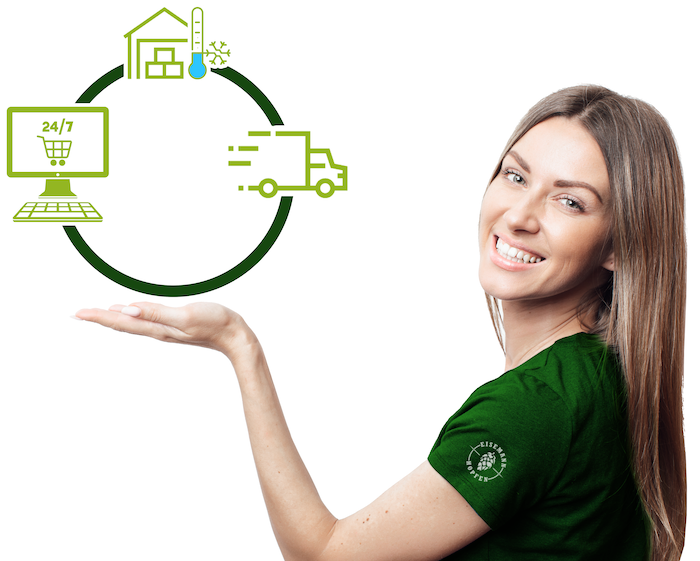 For large amounts (over 200kg) we commission reliable forwarding companies as from experience the transport on pallets is cheaper than shipping by parcel. If you have any concerns in this matter please contact us. We will find the optimal solution for your request! Use the contact form or call us – we are happy to help! Please note that you are required to fill out the mandatory fields and solve the math question before sending. This is to prevent any malicious hacking attempts and to increase your security when visiting our website. Furthermore we would like to point out that, in order to answer your question, your details and data will be collected and stored electronically. On request you will receive regular reports by e-mail about what is happening on the hop market, recommendations on what to buy, job offers and job requests. The newsletter is sent approx. 4 times a year, is free of charge and can be cancelled at any time. The registration for our newsletter can be found on our new online shop. The following link leads you to the corresponding page.